An instructor whose mind sometimes runs wild with delusions. 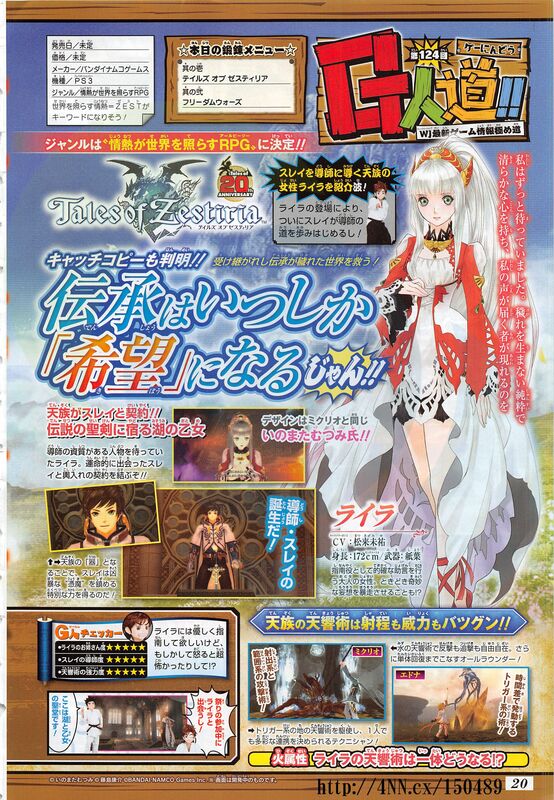 The latest character to join the Tales of Zestiria cast is Lailah, voiced by Miyu Matsuki and designed by Mutsumi Inomata, this week’s Jump magazine reveals. Lailah is an adult woman who provides advice as an instructor. Sometimes, however, her mind tends to run wild with strange delusions. She has been waiting for someone with the qualities of a doshi, and signs a marriage contract with Sorey after a fateful meeting. By her becoming a vessel of the Family of Heaven, Sorey acquires a special power to calm the brutal Hyoma.